Originally, Dr. Swetnam’s background was in the executive business world. However, after close to 20 years of office life, she decided to make a career change and return to university and concentrate on education. After earning an MA at Denver University, she moved from Colorado with her husband to Houston, Texas where she was employed at a local campus as an instructor, and later at the district level in special education administration. After earning a Ph.D. in Education she also became an adjunct professor at the University of St. Thomas in the Education Department in Houston, Texas. Dr. Swetnam has been a full-time faculty member at Walden University since 2007. 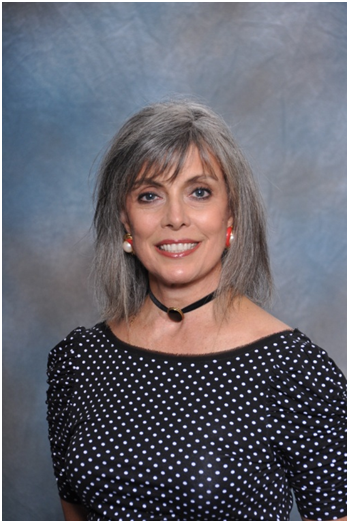 Dr. Swetnam is a published author whose research interests include achievement gap of minority students, reading literacy, and social community of online learners. Modesto, O. P., Swetnam, K. G., Jones, D. D. (2016). Routines and motivations of adolescent mothers in an alternative school: A phenomenological study. Journal of Case Studies in Education . Swetnam, K. G. (2012). Building a sense of community in online learning at Walden University through Ed.D. residency experiences. Journal of Virtual Leadership. Swetnam, K. G. (2010). Dropout and academic achievement perceptions of middle and high school students of Mexican descent: A Q methodology study. . Operant Subjectivity: Journal of the International Society for the Scientific Study of Subjectivity. Swetnam, K. G. (2005). Academic achievement and dropout perceptions of Mexican-descent middle and high school students: A Q methodology study. Swetnam, K. G. (2004). Navigating the ABCs of grading: Guidelines for evaluating, grading, and reporting progress for students with disabilities. Paper and CD coordinated with a committee of educators,. Modeston, O. P., Swetnam, K. G., Jones, D. D. (2016). Routines and motivations of adolescent mothers in an alternative school: A phenomenological study. ABRI. Swetnam, K. G., Wells, S. P. (2014). Completing the Doctoral Process: Milestones, Measurement, and Momentum. Walden University. Swetnam, K. G. (2015). Problem Statement. Swetnam, K. G. (2015). The Prospectus. Blankenship, R., Swetnam, K. G. (2012). Strategies for Student Success. Swetnam, K. G. (2005). CLASS—Designing an IEP. Spring Branch ISK. Swetnam, K. G. (2004). Navigating the ABCs of grading: Guidelines for evaluating, grading, and reporting progress for students with disabilities. Region IV ESC. Swetnam, K. G. (2005). Developmental Reading Assessment. Spring Branch ISD. Swetnam, K. G. (2004). Teaching reading with leveled books. Region IV ESC.